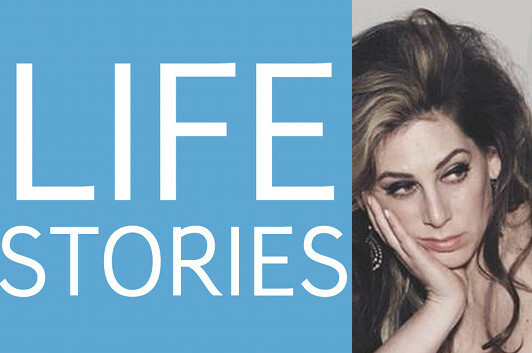 My guest on this episode of Life Stories, the podcast series where I interview memoir writers about their lives and the art of writing memoir, is Periel Aschenbrand, and one of the things we talk about is how her new book, On My Knees is a more sustained, personal narrative than her 2005 debut, The Only Bush I Trust Is My Own. We learn about the longterm relationship that went into a tailspin as that first book was coming out, and how—after squatting in her dead grandmother’s rent-controlled Manhattan apartment for nearly a year—Aschenbrand eventually found her way to a healthier relationship while visiting family in Israel. We also talk about the conversations you have with your close friends when your art is to write about your life and what’s happening in it, and where you set the boundaries for what the public gets to see—and about looking at it all through the lens of humor. Listen to Life Stories #37: Periel Aschenbrand (MP3 file); or download this file directly by right-clicking (Mac users, option-click). You can also subscribe to Life Stories in iTunes, where you can catch up with earlier episodes and be alerted whenever a new one is released.